I love the idea of re-purposing abandoned buildings, rejuvenating them, and imbuing them with new life and a new purpose. I think it’s wonderful to see an eyesore of a vacant building that had fallen into disrepair be restored and once again serve the community. My college town of Buffalo is doing this a lot right now, fixing up these great old industrial buildings and turning them into hotels, shops, and restaurants, supporting the city’s burgeoning tourism industry. (Buffalo really is a fantastic city, and I am so excited about all the development in the works.) 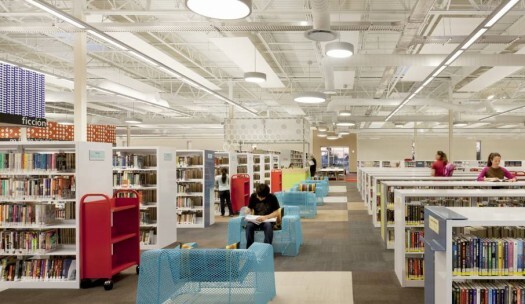 However, the city of McAllen, Texas recently did something even more intriguing with one of it’s vacant buildings; it converted a former Wal-Mart into a public library! At 124,500 square feet, the new McAllen Public Library is now the largest single-story library in the U.S. Can you imagine a library the size of two-and-a-half football fields?! 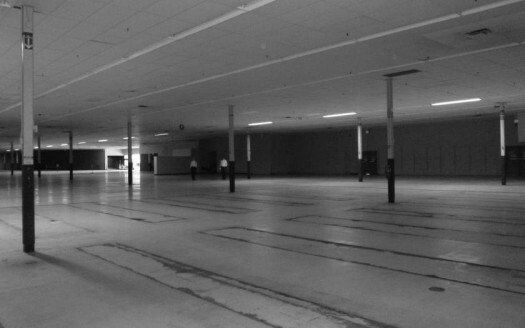 I feel like this would be a great place to hold a Portlandia-style Adult Hide-and-Seek League. Anyone with me?